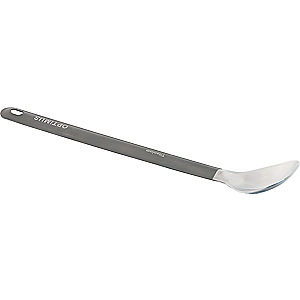 An extendable-handle spoon that's lightweight and perfect for reaching into the corners of food pouches. What an ingenious little spoon! 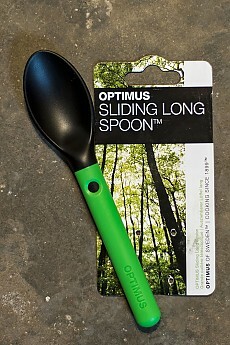 Collapsed the Optimus Sliding Long Spoon is slightly less than 7 inches long. Fully extended it is 9.5 inches long. 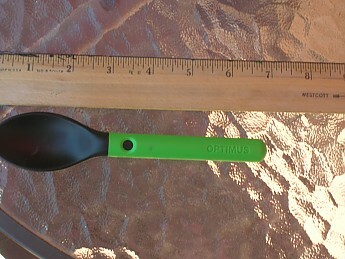 Weighing in at a paltry 25 grams, this little spoon is great for stirring your tea, eating soup, or digging into a bowl of your favorite breakfast cereal. Slide the handle into its extended position and, voila!, it's now perfect for digging out your dinner from the deep, dark recesses of those freeze dried food pouches! No more sloppy hands from using a too short spoon! Taller than a food pouch! 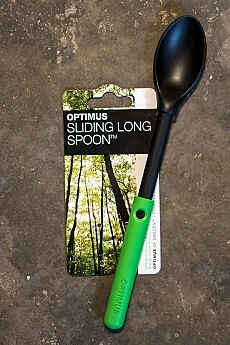 When extended, the Optimus Sliding Long Spoon locks into place with a little spring-loaded button. While this seems to work perfectly, it does add a moving part to a spoon, which, in time, may malfunction. Only time will tell. 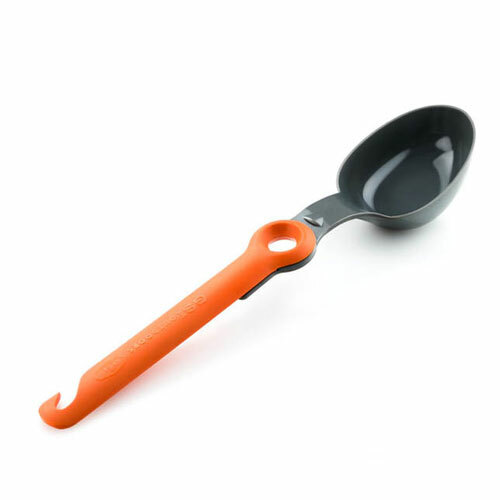 Push the little button again and slide the extendable handle completely off the spoon for easy cleaning! Marvelous! 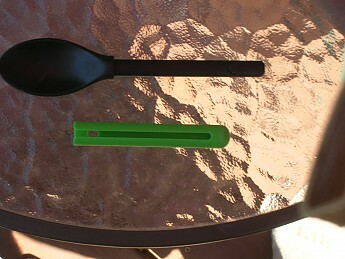 The spoon is bomber when short and has just the tiniest wiggle when extended. Nothing that would even be a concern, though. Comes in any color you want as long as it green! Says OPTIMUS on the handle! What are you waiting for? Go get one! Seriously, this is a great little spoon. Warning: Not to be use for digging cat holes. 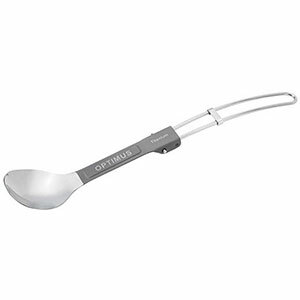 Thanks to Optimus for providing the spoon free of charge for this review. Thanks for sharing this, Jim. 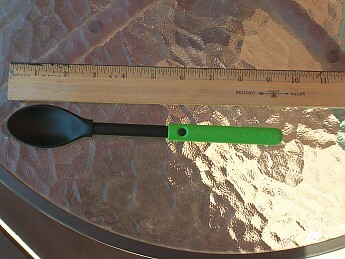 I'm curious, how sturdy does the spoon feel when you're using it at either length? Darn! I knew I'd forget something in the review! 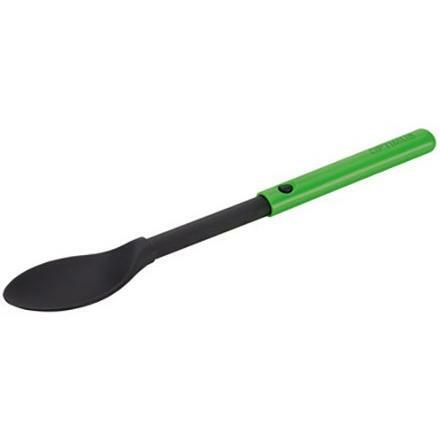 The spoon is bomber when short and has just the tiniest wiggle when extended. Nothing that would even be a concern, though. Keeps your finger and knuckles clean when stirring and reaching into freeze dried food pouches. 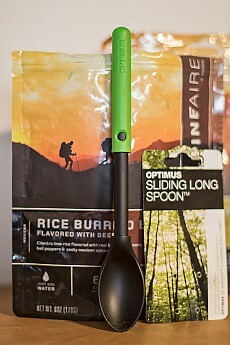 I just used this spoon for the first time on a three-day trek in the Idaho Selkirks. A hiking buddy of mine and I complained last September while on a Glacier NP hike about eating out of freeze dried food pouches and getting your fingers and knuckles sticky and messy when stirring and reaching down inside the pouch. 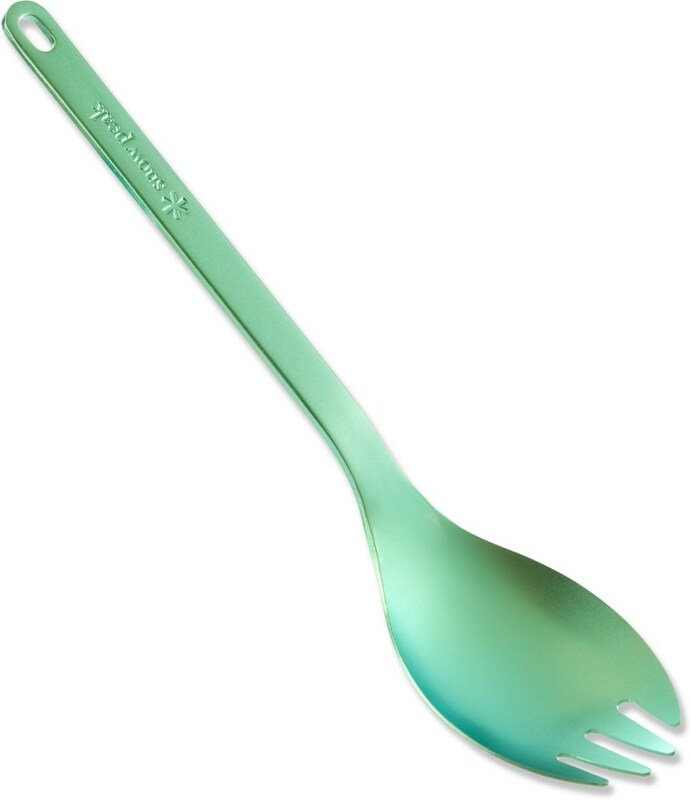 We were both using titanium sporks. We wondered if longer spoons were available. I discovered and purchased each of us one of these last winter. Good buy. 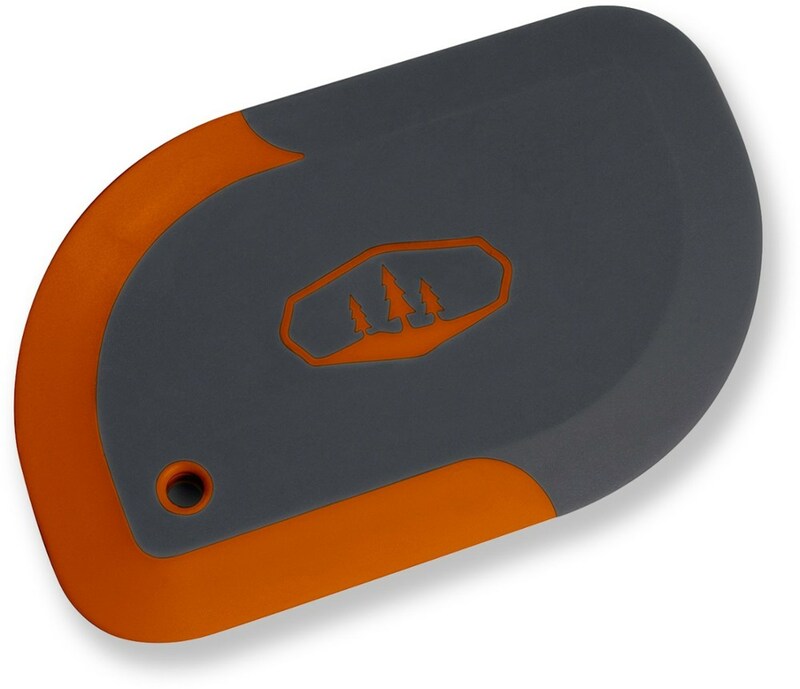 No messy fingers, it retracts to a convenient length, stores inside my mess kit, and cleans very easily. Sometimes it's the little things that make for a more enjoyable experience. Thanks for the spoon review, Will. I agree that the little things can make a big difference. I hope you'll keep us posted if your opinion changes.